If you’re shopping for a new vehicle, you’ve likely come across one that offers all-wheel drive (AWD) or four-wheel drive (4WD). Both systems will improve traction in your next car, truck or SUV, but they operate in different ways. Depending on your day-to-day driving needs, one might be better than the other. 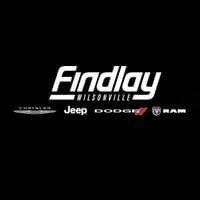 Find out more in this guide from Findlay Chrysler Jeep Dodge Ram. AWD – A vehicle equipped with all-wheel is able to send power to both the front and rear axles, including as much as 50% of more to the rear wheels when it’s needed. 4WD – If you buy a vehicle with a four-wheel drive system for trips around Hoodview, OR, then you’ll be getting a vehicle whose drivetrain can send power not only between the front and rear wheels but also between the left and right wheels. This additional functionality can be important in some situations. No matter which system you choose, you’re get improved traction on rough terrain like snow or dirt roads. That’s an important feature that can help keep your family safe during rough winters in Wilsonville, OR. When you’re deciding between the two, it’s important to think about how you’re going to use your next vehicle. If you’d like improved traction in difficult weather conditions but aren’t planning on tackling the most difficult terrain regularly, then AWD is likely a good pick. If, on the other hand, you’re going to be buying an SUV or truck that’s going to be your off-road or on-the-job partner, then a 4WD system is probably a better choice. No matter which one you choose, Findlay CJDR offers a generous selection of new, used, and certified pre-owned vehicles equipped with AWD and 4WD. Find out more about your options by contacting us online or via phone at (503) 498-6637. Schedule a test drive to see how our vehicles stack up on the streets of Wilsonville, and when you’re ready to explore your loan and lease options, our experienced finance team can help. Visit us today to learn more about the differences between AWD and 4WD. While you’re here, be sure to check out our off-roading prep checklist. 0 comment(s) so far on What’s the Difference Between AWD and 4WD?